An Italian staple joins an American classic once again. 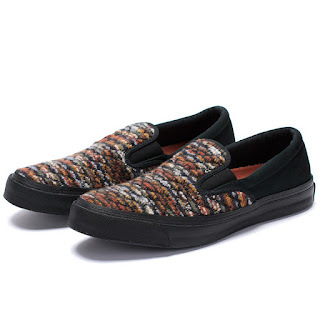 Converse and Missoni have collaborated this time around for Converse's slip-on Deckstar model. 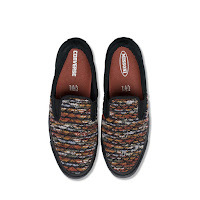 The upper front features Missoni's iconic colorful knit in nubbly cashmere yarns with the back of the shoe in a crisp satin. 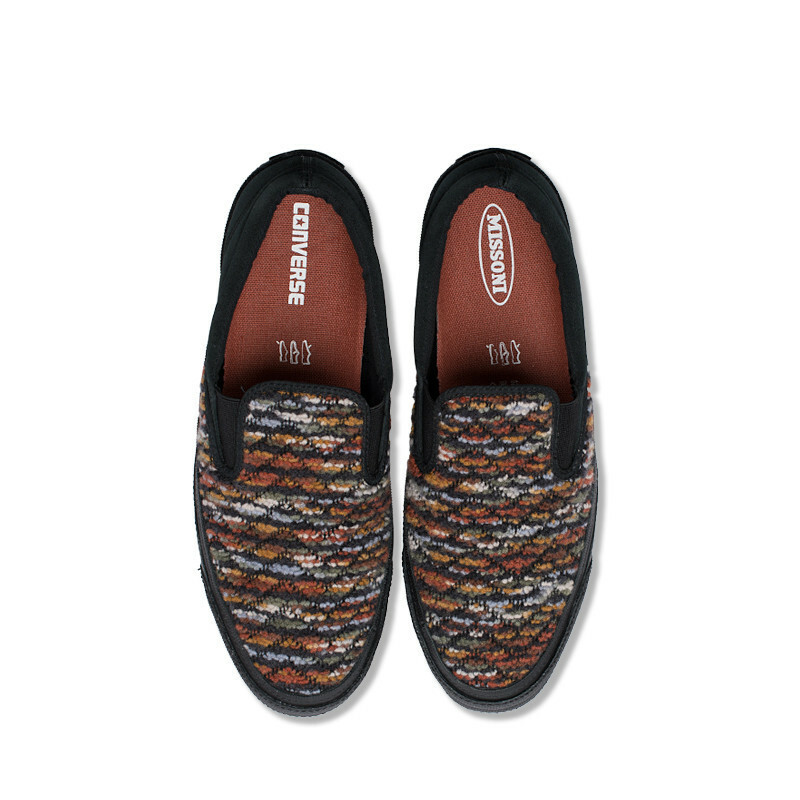 The tonal leather-wrapped sole anchors the shoe and creates a cozy slip-on for the season. Available now in both the black and burgundy color ways at BowsAndArrowsBerkeley.com.